ProCarReviews.com is developed, maintained and updated by a group of enthusiasts that provide independent reviews and opinions of various automotive products that are available online. We are not sponsored by any companies and do not post third party content. Every piece of content that you find on this website has been composed by our expert team of automotive journalists. Each and every article has gone through various vetting stages to meet our high standards. Our team of automotive journalists spend anywhere between 2 to 8 weeks creating each piece of content before it gets posted on the website. We also regularly check each and every post on a weekly basis and ensure that the products recommended are the latest available. Unlike other websites that are managed by people who have never picked up a spanner or worked on their own car, we are the complete opposite. We have our own garage with a car lift installed, which we use to test products for the website. The photo you see above is our very own garage, which you may see in many of the articles posted on ProCarReviews. We take great pride in the content that we produce and aim to provide unbiased reviews, buying guide and tutorials that are in-depth and meet the readers requirements. We even allow readers to comment on articles, which allow our expert team to help out. ProCarReviews was founded in March 2016 by Dan, who is an automotive journalist with a vast amount of experience. With a passion for cars, developing website and writing, ProCarReviews grew rapidly and is now one of the leading automotive resources online. There is a team (see below) behind the scenes that help find the latest products to test and ensure are worthy of mentioning on the website. All the articles that are posted upon the website is targeted towards the automotive industry. Therefore, the content you will find will include reviews, buying guides and tutorials for cars, trucks, RV’s, garage improvements, tools and any other vehicles on the road. Every article is produced by our team and no other third party. We want to ensure that the content meets our high standards and is suitable for our target audience. We have thousands of new articles in the pipeline and we are excited to see what you think. Our end goal is to be the best online resource for automotive products and tutorials. If you spot anything that we have not covered, please get in touch and we will schedule it into our schedules. As mentioned previously, all the articles published by our team goes through a series of vetting stages. This is to ensure that the content is of high quality and satisfies the needs of the reader. The first stage involves hours of research via online resources, magazines and big automotive brands in order to find the latest products available. The automotive industry is one of the most fastest moving in terms of technology and this allows our team to keep up to date. Once we have found the products, we will begin to research into their functionality, features and whether they are worth recommending or not. Where possible, we even go out and purchase the products to test in order to provide detailed reviews. Along with reviews, we often provide a tutorial on how to use the product, which many readers will find helpful. After all the reviews have been completed, we will include a buying guide below. This will help readers make an informed buying decision and further improve their knowledge. We take great pride in the content that we produce and ensure that we cover absolutely everything. We attempt to post our latest work on all of our social media platforms but our Instagram page is the most active. Our team post products that are currently under testing, results and general photos regarding the automotive industry. If you have any question regarding what we do or who we are, then reach out to us via our contact form or email us directly at [email protected]. We aim to respond to any queries within 24 hours. You can tell a lot about someone by the type of vehicles that they own and drive. Rather than driving “normal cars”, enthusiasts like ourselves like to drive vehicles that have character or out perform most cars on the road. Our team drive a wide variety of cars and trucks, which puts us in a great position when it comes to the content published on the site. When it comes to luxury, it does get much better than a classic Mercedes-Benz. The two in the picture are icons of the 1990's and they include a R129 500SL and a W124 300CE AMG. Both were bought in a "barn find" condition and went through a nut and bolt restoration. The W124 in particular is quite special as it has a Mossel-man Twin Turbo 3.0 that has been mounted to a 190 Cosworth Dogleg gearbox. It also has very low mileage, which makes it a very collectable car along with the rare AMG parts. Along with these two Mercedes's, there are several others that include an E55 AMG, 190 Cosworth, C230K Track Car, W140 and more. You will find many of these classic cars being worked on within the posts published as they require regular maintenance. For daily driving and performance, Dan also owns an Audi RS6 (C7), which can accelerate from 0 to 60 MPH in just 3.9 seconds. Although you could happily drive all the classic Mercedes-Benz’s everyday, they have got to the stage where they are future classics. Apart from hot days, the majority of them stay in the garage and the RS6 is driven on a daily basis. With numerous cars, Dan is able to test a variety of products upon a range of applications. Being part of multiple car communities and enthusiast groups, Dan also gets the chance to drive many different cars and expand his knowledge. Before any content is published upon the website, it goes through a vetting process via our other team members below. Logan, Jake and James not only asses content but also help research all the latest products on a daily basis. Considering that there are thousands of products reviewed on ProCarReviews, this is a huge task that requires a lot of time and effort. In the automotive industry, the technology is constantly improving and there is always a manufacturer producing an improvement on what they already produce. 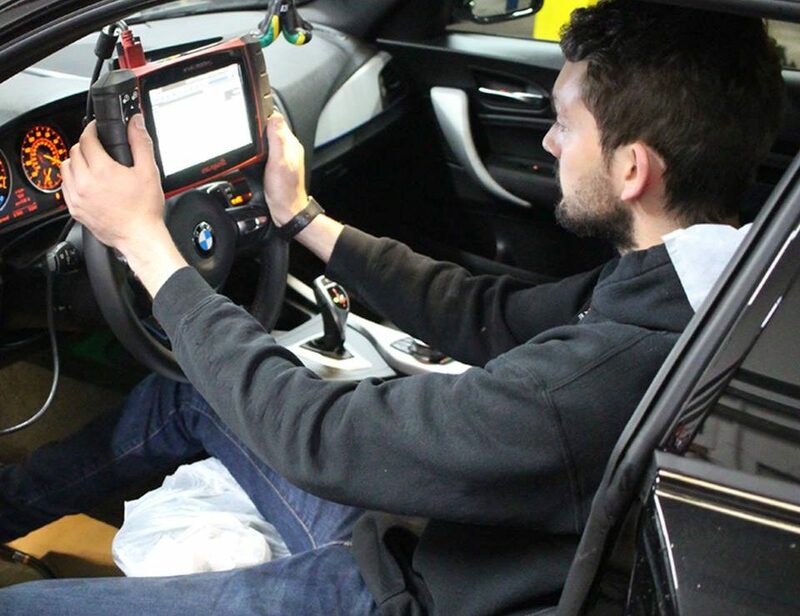 With a Masters in Automotive Engineering, Logan has extended knowledge and is able to go into great depth within certain aspects of the industry. He owns an offroading truck and Chevrolet Silverado along with a very desirable 2JZ Supra. Jake is part of the “stanced” community and every car that he owns has been lowered in some way or another. His favorite is his MK5 Golf GTI that is running a Stage 3 tune but he also owns a MK1 Mazda MX5 for a bit of RWD action. James has the widest variety of vehicles that includes his trusty Jeep, Shelby Mustang and his daily driven F150. He also owns a Class A RV, which has been driven to almost every state and is used on family vacations.